KABUL, Afghanistan – Taliban militants launched a series of bombings across Afghanistan, targeting police and government facilities in attacks that killed 74 people and wounded more than 200, officials said Tuesday. 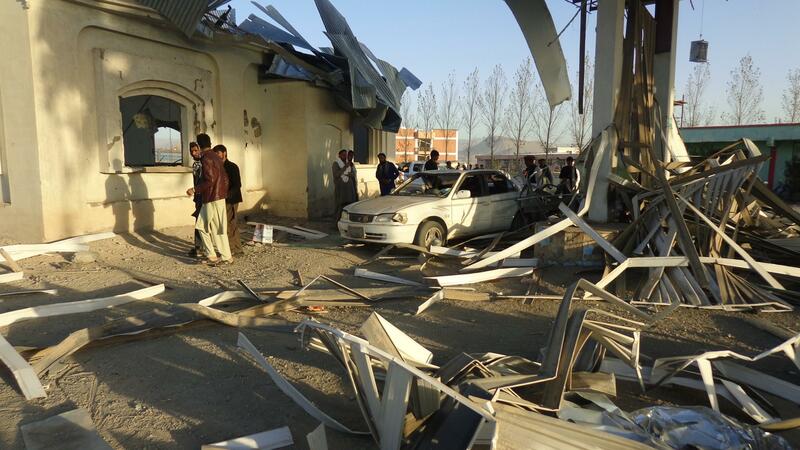 In the deadliest attack, Taliban militants detonated car bombs and then stormed a police training center in the eastern province of Paktia, sparking an hourslong battle, leaving 52 people dead. As black smoke billowed from the compound in the city of Gardez, Afghan security forces battled the militants – some officials said five, others said as many as 11 – for more than three hours as reports of casualties continued to rise. “As the government looks to move on with the values of peace and human rights, the terrorists’ emphasis is on the continuity of war,” Ghani’s office said. In the central province of Ghazni, an explosives-packed Humvee blew up outside the Andar district governor’s compound early Tuesday morning. Arif Noori, a spokesman for the Ghazni provincial governor, said 15 police officers and five civilians were killed and 43 people were wounded. In the western province of Farah, Taliban militants stormed the center of Shibkho district, along the Iranian border, late Monday and killed two police officers. The provincial governor’s spokesman, Mohammad Naser Mehri, said security forces responded and battled the gunmen for four hours before expelling them and regaining control of the district center. The Taliban has steadily chipped away at the Afghan government’s control over territory, and the insurgents now hold or contest 40 percent of the country’s districts, according to U.S. estimates. President Donald Trump has authorized the deployment of as many as 3,800 additional U.S. troops, on top of 11,000 already in Afghanistan, to bolster the training and equipping of the struggling Afghan forces. Published: Oct. 17, 2017, 9:55 a.m.